The number of foreign students in the Netherlands has doubled in the past 10 years, hitting some 80,000 in the 2016/17 academic year, according to a new report by international education group Nuffic. Of these students, some 25% will remain in the Netherlands to live and work, mainly in the urban central belt stretching from Amsterdam to Utrecht and Rotterdam, Nuffic said. 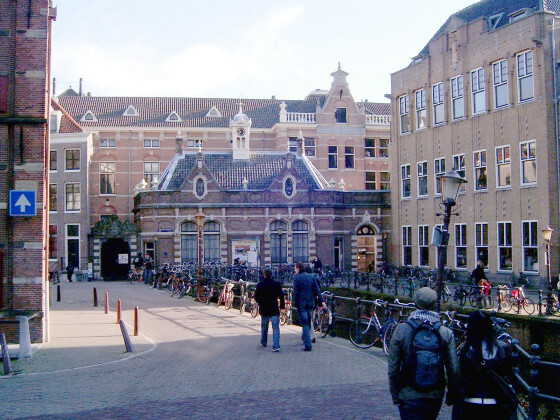 Maastricht and Amsterdam universities have the most foreign students. In Maastricht, 50% of the student body is foreign, in Amsterdam around 10%. In Delft, Wageningen and The Hague, around 20% of university and college students come from abroad, Nuffic said. Germany remains by far the most important country of origin and German students are most likely to enroll in universities close to the border. Economics and business studies are most popular among German students, followed by human and social studies. The Nuffic report also shows that the number of British students registering at Dutch universities and hbo colleges has quadrupled since 2011, partly due to the sharp rise in British tuition fees in 2011. The liberal arts and sciences and European studies are the most popular choices for British students.